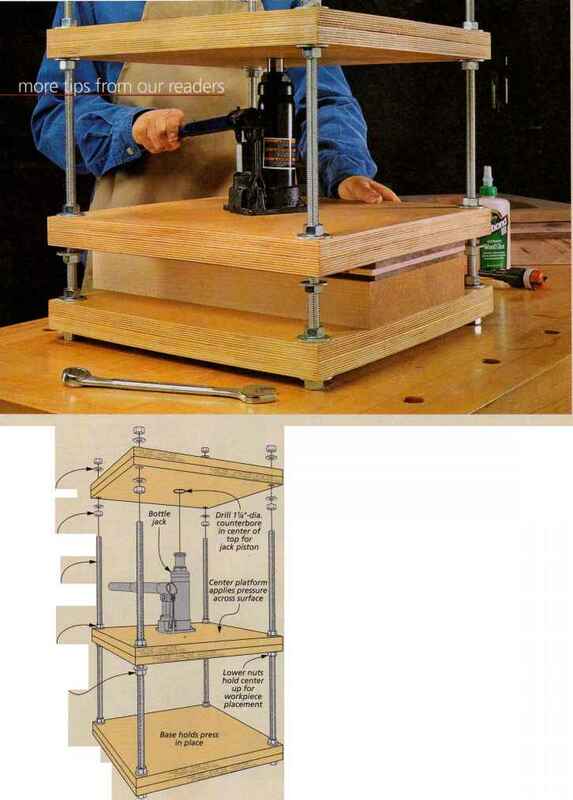 which can help to straighten warped stock when you're cutting it. I generally cut featherboard fingers Vg in. wide, spaced Vg in. apart, and at an angle between 70* and 45°. I find this ensures good pressure and prevents kickback. 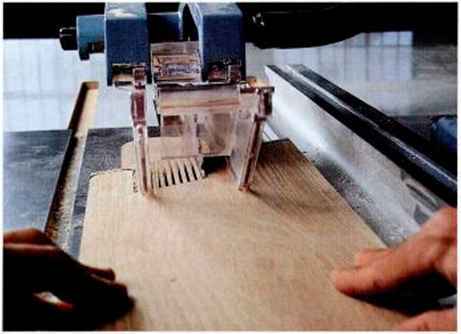 In general, the steeper the finger angle, the more firmly the featherboard holds the workpiece. 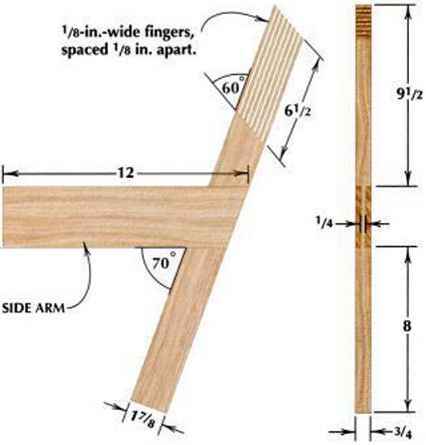 Cut the fingers from left to right; with the featherboard's acute angle against the fence and the bfode raised to full height. 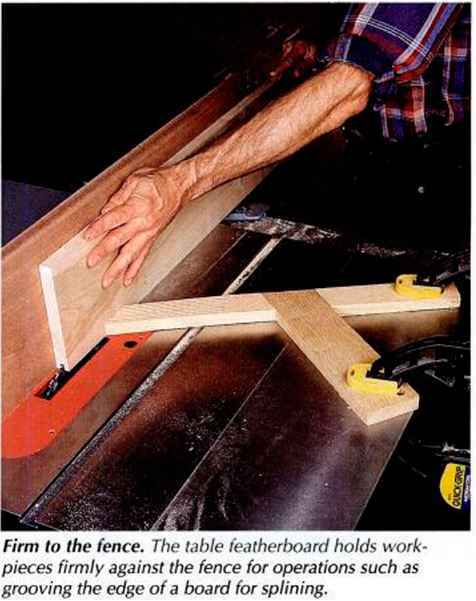 The featherboard in this photo is shown on page 81. Firm to the fence. The table featherboard holds work pieces firmly against the fence for operations such as grooving the edge of a board for splining.